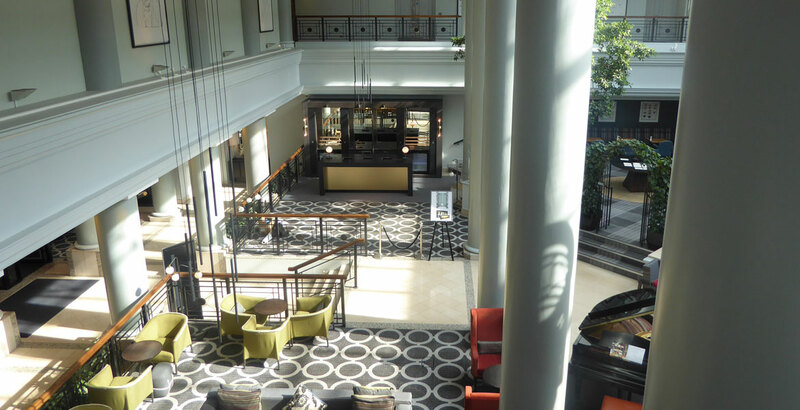 Our latest completed bespoke hotel bar joinery project – a Dispense Bar and Counter for The Hyatt Regency Hotel, Birmingham from a design supplied by Faber Design & Architecture. 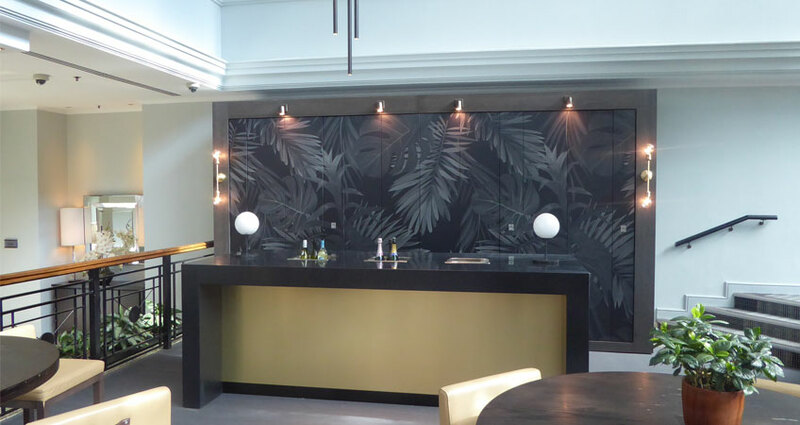 Our Joinery Shop made off site this beautiful bar and counter inclusive of bottle steps, antique glass mirrors, solid surface bar top, LED strip lights, feature wall and counter lights. 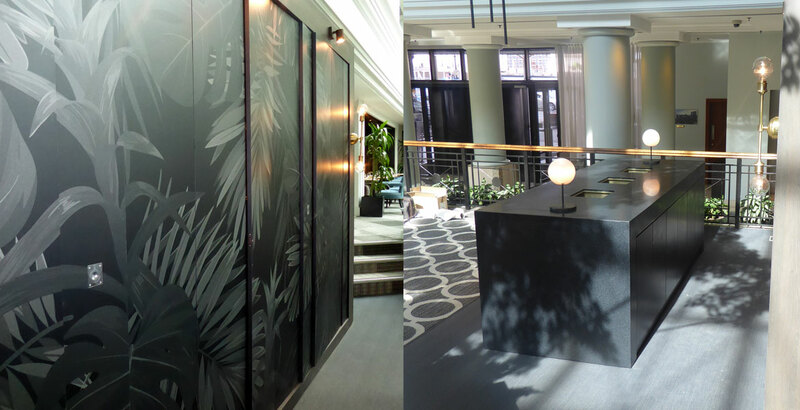 Bespoke back bar doors which when the doors are closed have a feature vinyl wrap picture scene across the whole back bar and when the doors are open, they retract into specially designed cupboards to close them off. 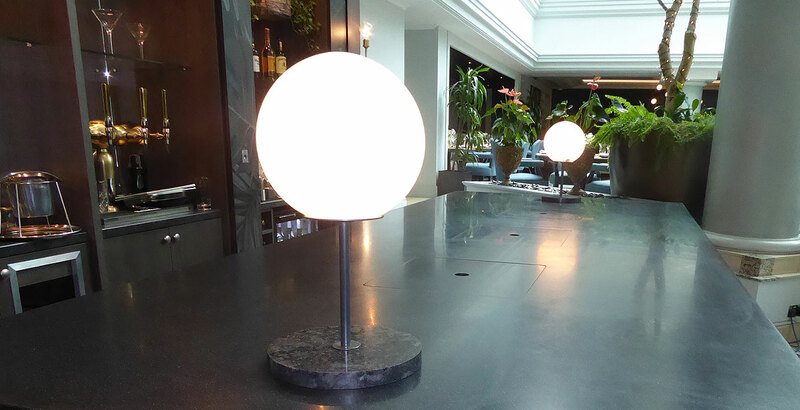 Gastronorms with bespoke solid surface lids were fitted into the solid surface bar worktop so when the gastronorms were not in use the lids were used so a continuous, flat worktop surface was available for other uses. 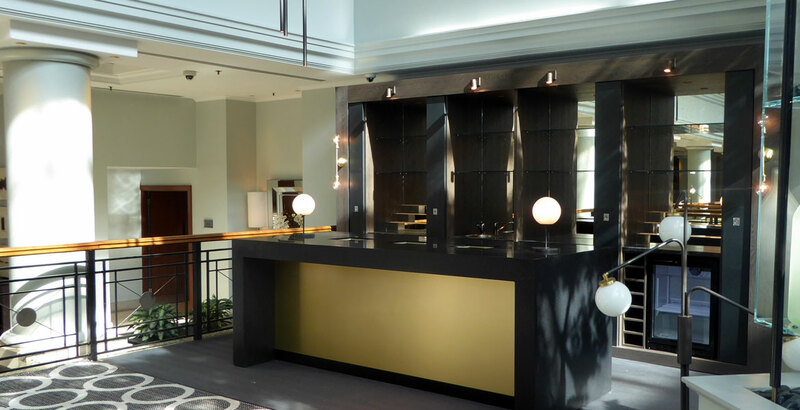 Brushed gold laminate was used for the front of the counter, with LED lighting all around to make the Dispense Bar and Counter a feature within The Hyatt Hotel’s social meeting and reception area. 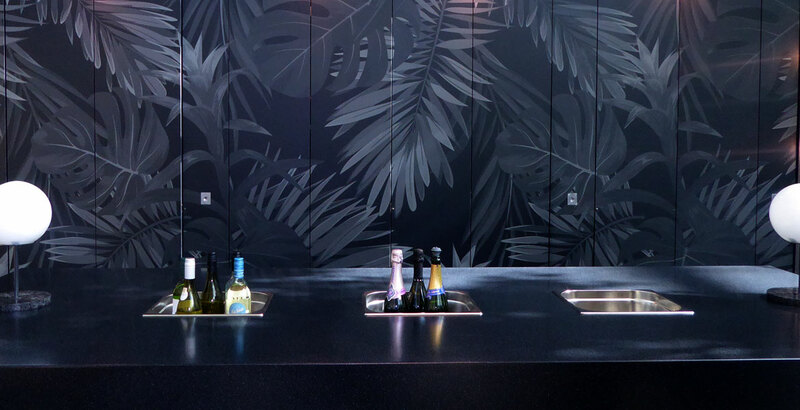 The unit was fabricated off site, delivered, assembled and certain bespoke elements to complete the design were made in situ and added to the bar and counter. 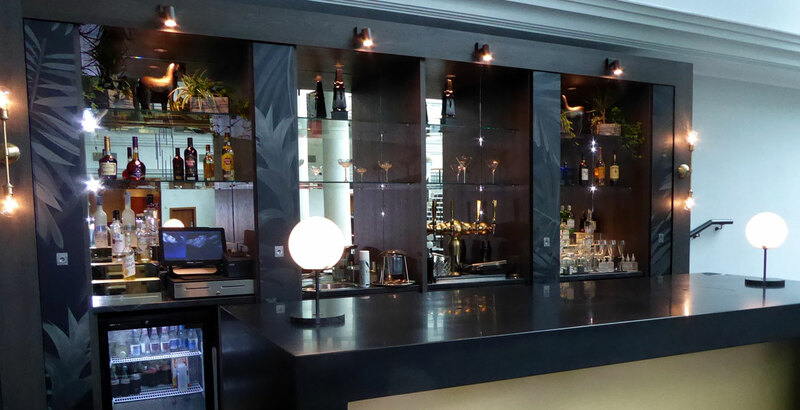 The finished result is a fully functional and feature Dispense Bar and Counter for The Hyatt Regency Hotel to enjoy and utilise.